We notice the appearance of the thing, how it is presented, how it looks and what feel it creates. The innate self is observed later what is primary here is the outward look a person shows off. Beauty is always mandatory in creating a good impression, beauty feeds aesthetics and it adds to the acceptance of the thing. The standard and quality are other preliminaries so when it comes to a product, its appearance, appeal, quality and uniqueness make it special and worth noticing. Eatables and food item labels are designed in a vigorous way so as to give a tantalizing expression, eatables should be made tempting, delicious and mouthwatering. Their very look can grab the eyes and consumers would get attracted to pick up that product which looks good to eyes. Proper colors, textures, fonts and backgrounds are used on labels by the designer so the name of the product becomes readable and appears to be worth the purchase. Today I am unfolding before you free jam label design template & mockup PSD for your interest. 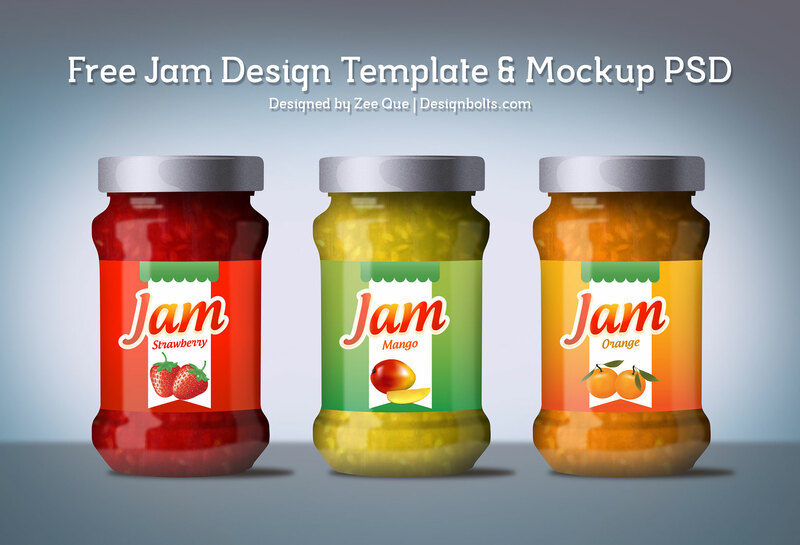 All those designers who are currently or in future are supposed to work on label designs of products especially of jams can use these templates with ease and comfort. There are no hard and fast rules for these. Any element can be extracted from these as per your own choice and demand of task. Simply insert in your own design and you can flaunt it to your client to give him the idea how the product will look after having any of these jam labels. You can use these labels for personal as well commercial prospect; I am sure they will give you a good turn and reduce the work strain of your shoulders. Have a look and do let us know are these templates effective and productive for you?